The Cumnock Tryst has announced a programme packed with global and local musical talent for the 2018 Festival in October this year. The event was created and is run by eminent Scottish composer Sir James MacMillan, and is now in its fifth year. Happening at various venues in and around the town of Cumnock, where MacMillan grew up, the Festival runs from Thursday 4 - Sunday 7 October. The Tryst continues a now established tradition of bringing both world renowned and local performers and musicians together for a programme of known works and premieres of brand new commissions spanning classical, choral, jazz, pop and folk. The Festival opens on Thursday night with Artists in Residence the Edinburgh Quartet premiering a new work from Rory Boyle, String Quartet No 2 Quartetto da Requiem, alongside works by Haydn and Dvořák in St John’s Church in Cumnock. The Festival’s centrepiece is the world premiere of All the Hills and Vales Along, a new oratorio written by Sir James MacMillan. The work was commissioned by the London Symphony Orchestra and 14-18 NOW, the UK arts programme for the First World War centenary, to commemorate 100 years since the end of the First World War. 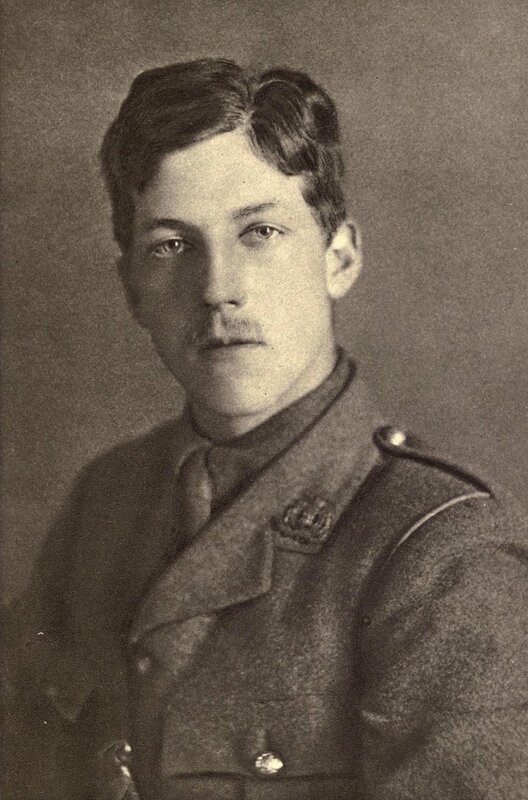 The composition will be set to texts by the Aberdeen-born war poet Charles Hamilton Sorley and performed by Ian Bostridge, the Edinburgh Quartet, Nikita Naumov, Sirocco Winds, the Dalmellington Band and the Cumnock Tryst Festival Chorus, conducted by Eamonn Dougan on Saturday 6 October at Cumnock Old Church. Following the premiere of the Chamber version of this work at Cumnock Tryst, the full orchestral version will be premiered at the Barbican on 4 November. The Cumnock Tryst concert will also feature Charles Ives’s The Unanswered Question and a short new work by Electra Perivolaris. Expanding the Festival’s previous folk and jazz elements, this year Cumnock Tryst has invited Mercury Prize nominee C Duncan, whose band is currently supporting Elbow’s world tour, to perform on Thursday night at the free Festival Club. Classically trained at the Royal Conservatoire of Scotland, Duncan has drawn on his classical background to make his own folk/dreampop crossover to wide critical acclaim. A special solo Lieder recital from renowned English tenor Ian Bostridge & Italian-Dutch pianist Saskia Giorgini takes place at New Cumnock Town Hall on the Friday evening, and Giorgini presents her own solo piano recital the following afternoon. This year’s Festival continues its literary collaboration with the famous Boswell Book Festival. Chairman James Knox will interview Stephen Johnson whose recent book How Shostakovich Changed my Mind embraces the topic of the healing power of music for mental health. Continuing the tradition started in previous Tryst’s of working with Scotland’s young creatives, and to celebrate 2018 as Scotland’s Year of Young People, the Festival has a strong focus on young Scottish creative talent. The Chronicles of Cumnock, a project undertaken with Doon Academy in association with the Royal Conservatoire of Scotland (RCS), is the culmination of a 10-week project to create a series of music and dance performances. The project will give students at Doon Academy access to leading composers including Jennifer Martin and Sir James MacMillan, and choreographers Jenny Fallon and Megan Peasgood, with Martin Travers from Glasgow’s Citizen’s Theatre stitching together the various components with stories from the East Ayrshire community. Their focus will be around the First World War and a performance of the finished work will be presented on Friday afternoon at Cumnock Academy with Edinburgh Quartet and RCS String Quartet. 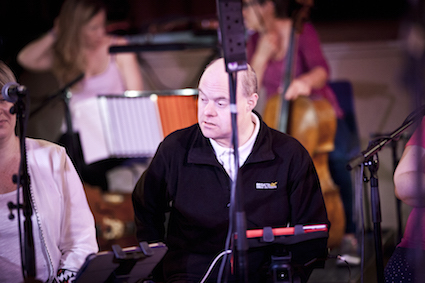 The National Youth Orchestras of Scotland Jazz Futures perform alongside Digital Orchestra, a group of talented young musicians with disabilities developed through Drake Music Scotland. Digital Orchestra was created using inclusive music technologies and has since performed around the world. The NYOS Jazz Ambassadors will also return for their own Festival Club performance on the Saturday evening, with other club performances at the Dumfries Arms from popular Scottish folk artists Kilda. The group comprises of some of the best young names on the Scottish Trad scene, including BBC Young Traditional Musician of the Year finalists Mhairi Marwick on the fiddle, Luc McNally on guitar and vocals, and 2018’s winner Hannah Rarity on vocals. A very special finale concert will see renowned choir The Sixteen and conductor Harry Christophers perform a programme based on the Eton Choirbook, along with new commissions from Sir James MacMillan and emerging composers Phillip Cooke, Joseph Phibbs and Marco Galvani. The choir have a long-standing relationship with MacMillan, and performed his Stabat Mater in the hallowed ground of the Vatican’s Sistine Chapel earlier in 2018. Sir James MacMillan said, “The last five years have been an exciting journey for me as the Festival has gradually put down roots in the town where I grew up. “There are already many glorious memories of the first four Trysts and this year we can expect something truly joyous. We welcome the Edinburgh Quartet this year as Artists in Residence. The great tenor Ian Bostridge joins us for the first time and The Sixteen, one of the world’s great choirs are back this year with their conductor Harry Christophers. “I wanted to mark our fifth Festival by writing a special new piece. All the Hills and Vales Along will bring together some of our starry visitors with the local Dallmellington Band and the Festival Chorus conducted by Eamonn Dougan. I have been waiting for a long time to write this piece for Cumnock. Cumnock Tryst is supported by Creative Scotland, East Ayrshire Leisure Trust, 14-18 NOW, Genesis Foundation, William Grant Foundation, and Howard & Roberta Ahmanson, among others. Project shortlisted for the RCS Award for Education/Community Project of the Year in the Scottish New Music Awards. Images: Kaleidoscope at the 2017 Cumnock Tryst - Sir James MacMillan conducts string players from Greenmill Primary, young musicians from Barshare Primary, senior school pupils from Auchinleck Academy, adults from the Riverside Centre. Kaleidoscope, a project bringing schools and community groups together with professional musicians at the 2017 Cumnock Tryst, has been shortlisted for a major award it was announced today, 23 January 2018. The project had been nominated for the RCS Award for Education/Community Project of the Year in the Scottish New Music Awards. It has beaten off competition from over 200 nominations to make the shortlists. For the last three years the Cumnock Tryst festival has partnered with Drake Music Scotland, a leader in educational work with people with disabilities ensuring that they can participate fully. Each year the collaboration has culminated in a performance on the Friday lunchtime during the festival. In 2017 the collaboration was taken to a new level in a unique event - a four movement work, Kaleidoscope, which for the first time brought together pupils from three schools in East Ayrshire – Greenmill Primary, Auchinleck Academy and Barshare Primary/Hillside school - and adults from the Riverside Centre, each of whom contributed one movement to this specially created “symphony”. The development process saw the amateur performers having the rare opportunity to work with members of the renowned Scottish Ensemble and acclaimed percussion soloist, Colin Currie, all of whom also took to the stage with them for the performance. "Kaleidoscope was billed as the 'emotional highlight' of the Tryst festival, and having now had the pleasure of working with Sir James McMillan and Drake Music Scotland on the project, we can easily see why,” says Fraser Anderson, Chief Executive of Scottish Ensemble. “We were moved by the creativity and enthusiasm on show from all participants, as well as how they worked together – the final ‘symphony’ we performed was a real team effort from a group of people cooperating across a range of ages, backgrounds, abilities and needs, and a deep experience for the Scottish Ensemble musicians. We're very happy that this inventive, imaginative learning project has been nominated." “Our young people learn so many skills. The obvious musical skills they develop but also their ability to communicate with others and to express themselves in a way they don’t get the opportunity to do. Sir James MacMillan was been nominated in three further award categories. His critically acclaimed setting of the Stabat Mater has been shortlisted in the Large Scale New Work (sponsored by PRS for Music) category and the recording of the work by The Sixteen and Britten Sinfonia is shortlisted for the EVM Award for New Music Recording of the Year. Meanwhile, Sir James is nominated for the RCS Award for Contribution to New Music in Scotland during 2017. A panel, comprising esteemed members of the music world, deliberated over the 200 nominations across the 11 categories Award categories. As well as the overall strength and wide variety of the submissions, the panel praised the continually high standard of music making and innovative approaches taken by composers, ensembles, organisations and artists. The winners will be announced at an event on Wednesday 7th March at the Drygate Brewery in Glasgow, which will be hosted by music writer and broadcaster Kate Molleson. Jean Nicholson has been appointed Festival Director of the Cumnock Tryst it was announced today, 15 January 2018. An arts administrator with 25 years experience in opera and theatre management, Ms Nicholson will work in partnership with Sir James MacMillan to develop the festival which this year marks its 5th anniversary. Established in 2014 by Sir James MacMillan in his home town of Cumnock, the Tryst has already become a highlight of the UK’s music calendar. The festival takes place each October in and around the East Ayrshire town and is celebrated for its combination of performances by internationally acclaimed musicians and contributions from local groups. The appointment of a Festival Director is a key element in a strategy to create a year-round programme for the Tryst particularly developing its education and outreach work. “The Cumnock Tryst festival reaches its 5th anniversary in 2018 and we have been delighted by the success to date. We are now working to build on this success, and in particular to develop our award- winning education and community work. The 5th Cumnock Tryst Festival will take place between 4 and 7 October 2018. Jean Nicholson has an extensive career in music and theatre spanning 25 years. She has worked for a broad range of organisations from the Royal Opera House, Hackney Empire, Opera & Music Theatre Forum and London Sinfonietta. She has a particular interest in broadening the base of audiences and performers making classical music more widely available and accessible. From 2000 to 2013 she worked with opera director, Graham Vick, at Birmingham Opera Company establishing a radical style of production embedding the company in the local community and presenting work in unusual spaces. Birmingham Opera Company has a notable reputation for recruiting singers from diverse backgrounds and developing careers both in the UK and internationally. Most recently she has been working with the Jette Parker Young Artists Programme to help design a programme to attract a wider base of artists. The Cumnock Tryst’s contribution to the local community was recognised in the 2017 Arts & Business Awards. The Tryst’s and MacRoberts LLP won the Placemaking Award, which recognises how a partnership has strategically shaped the cultural activities in a geographical area. Sir James MacMillan CBE announced the programme for 2017 Cumnock Tryst at a special event in the Dumfries Arms tonight, 16 May 2017. The launch event also featured a performance by Folk trio, Kilda, presented in partnership with Live Music Now Scotland. The fourth annual Cumnock Tryst Festival will take place in venues across Cumnock, New Cumnock and Auchinleck, and in Dumfries House between 28 September and 1 October 2017. The 2017 Festival features a number of works commissioned by and for The Cumnock Tryst. The opening concert on the evening of Thursday 28 September in Cumnock Town Hall will bring together the acclaimed Scottish Ensemble with the renowned percussionist Colin Currie in a performance of a new work co-commissioned from David Maric by The Cumnock Tryst and Scottish Ensemble. Maric will also perform in the piece. Meanwhile, as part of a performance by the Dalmellington Band and The Wallace Collection on the afternoon of Saturday 30 September a new piece by rising star, Jay Capperauld, will also receive its World Premiere. This piece, As Above, So Below, was commissioned by John Wallace, who will perform it as a member of the Wallace Collection. Continuing Sir James’ commitment to support local talent, there will be the first performance of a special commission from Auchinleck-based composer, Michael Murray. Murray is the third local composer to be championed by Sir James following Jay Capperauld in 2015 and Scott Lygate last year. Murray has written a concerto which will be performed by the talented young guitarist, Sean Shibe. Colin Currie will also give a solo performance on the evening of Friday 29 September. This concert will be The Cumnock Tryst’s first event in New Cumnock, with the performance being staged in the recently refurbished New Cumnock Town Hall. “We have a wonderful array of soloists joining us this year including the world-renowned percussionist Colin Currie and the astonishing young guitarist Sean Shibe, both of whom will be giving World Premieres of works that have been commissioned for them. We are delighted to have co-commissioned the new work by Dave Maric with our artists in residence, Scottish Ensemble, and look forward to hearing them join forces with Colin Currie and Dave Maric himself for the first ever performance of this piece ,” says Sir James MacMillan. Images: Martyn Brabbins, who returns to his musical roots conducting the Dalmellington Band, and Eamonn Dougan with the Festival Chorus. Dougan will once again conduct the Festival Chorus concert at the 2017 Cumnock Tryst . From the beginning the Cumnock Tryst Festival has featured choral and brass music, both of which have particular resonances in the former mining town. Ayrshire’s Dalmellington Band make a welcome return to the Tryst performing with the virtuoso Wallace Collection in the Old Cumnock Church at 2pm on Saturday 30 September. The concert will see Martyn Brabbins, ENO Artistic Director, return to his musical roots – Brabbins began his musical life as a trombone and euphonium player with the Towcester Studio Brass Band – not only conducting, but also writing music for brass band. The following two concerts on the Saturday will showcase choral music. At 4pm in Auchinleck Parish Church The Cumnock Tryst Festival Chorus will give a performance of Mozart’s Coronation Mass and Vaughan Williams’ Five Mystical Songs alongside works by Maxwell Davies, Finzi, Warlock and Britten, once again under the baton of Eamonn Dougan. The Chorus will be joined in the Mozart by a quartet of young soloists from Genesis Sixteen and in the Vaughan Williams by Scottish baritone, Andrew McTaggart. Organist for the performance will be one the UK’s leading concert organists, Kevin Bowyer. The evening concert will be undoubtedly one of the highlights of the 2017 Festival as Scottish Ensemble is joined by the celebrated Westminster Cathedral Choir in a performance of Sir James MacMillan’s Seven Last Words from the Cross conducted by the composer himself. The concert will take place in St John’s Church, Cumnock. The historic Dumfries Arms Hotel has been a key venue for The Cumnock Tryst since its inception. This year marks the hotel’s 300th anniversary, and The Tryst will join the celebrations with a range of events, including the Festival Club. On Friday 29 September at 5pm The Cumnock Hour will bring together Paul MacAlindin with James Knox of the Boswell Book Festival to explore the story of the National Youth Orchestraof Iraq. A beacon of hope and achievement, the young musicians and their tutors made bridges across ethnic divisions and made great music in the most trying and tragic of circumstances. The “in conversation” is part of a collaboration between two leading Ayrshire festivals, The Cumnock Tryst and the Boswell Book Festival. At 9pm on Friday 29 September, Ian Peaston, the Cumnock-born violinist who wowed the audience in the inaugural festival, will make a welcome return. The Cumnock Tryst Festival Club, the relaxed late evening event, this year features Centrestage Gospel and Soul Choir making their Cumnock Tryst debut on Thursday 28 September. On Saturday night, 30 September Granny Green, the trio of talented musicians, who helped launch the 2016 Festival with such elan, will once again showcase their quirky sound world created on trumpet, tuba and accordion. Education and outreach are central to The Cumnock Tryst with the Friday concert in Cumnock Academy established as an emotional highpoint of the Festival. Drake Music Scotland will once again join us to create new work with pupils from Hillside School, whose music-making millions saw on BBC network news last year. Drake Music Scotland will also work with adults with special educational needs from the Riverside Centre, the second year that this group will have taken part in The Tryst. The outcome of these projects will form two movements of “a symphony” called Kaleidoscope, which will be premiered on Friday 29 September at Cumnock Academy. The other two movements will be created by string players from Greenmill Primary School and students from Auchinleck Academy working with Sir James MacMillan. Also taking part in the workshops and performance will be musicians from Scottish Ensemble and percussionist Colin Currie. The 2017 Festival will once again end in the glorious setting of Dumfries House. There will be three promenade concerts featuring three very different performances on Sunday 1 October. The first part of the event will feature guitarist Sean Shibe playing JS Bach’s Lute Suite No 4 in E in the Tapestry Room. This will be followed by The Wallace Collection quintet playing Jim Parker’s Golden Section in the Entrance Hall, and finally members of Scottish Ensemble will perform works by Tabakova and Mozart in The Great Steward’s Dining Room. Patrons Tickets and Festival Passes for the 2017 Cumnock Tryst Festival go on sale on Wednesday 17 May. Friends booking opens on Tuesday 30 May with general public booking opening on Monday 12 June. Tickets will be available via the Box Office at the Royal Conservatoire of Scotland. The Box Office is open Monday - Friday, 9am – 5pm; Saturday hours vary. Most major credit and debit cards accepted and cheques, made payable to ‘Royal Conservatoire of Scotland.’ There is a 50p charge per transaction on all card payments. Tickets can be posted to you for 75p. Full terms and conditions are available at the Box Office and online. Any remaining tickets will be available on the door at the venue, 45 minutes before each event. Seating is unreserved in all venues and areas. Doors open 30 minutes before each event. The Box Office will operate an advance waiting list for sold out concerts. The 2017 Cumnock Tryst festival has been made possible with generous support from Howard and Roberta Ahmanson, The Boswell Book Festival, Creative Scotland (Lottery), Cumnock and Doon Valley Minerals Trust, The Dumfries Arms Hotel, East Ayrshire Council, The Genesis Foundation, The Great Steward of Scotland’s Dumfries House Trust, The William Grant Foundation, The Hinrichsen Trust, The Hillside Quarry Group, The Hunter Foundation, the University of the West of Scotland, and our anonymous supporters, our Festival Friends and Patrons. The Cumnock Tryst is supported by PRS for Music Foundation. The Cumnock Tryst was founded by composer Sir James MacMillan in 2014. The Festival’s name, The Cumnock Tryst, was inspired by a piece of music James MacMillan wrote in the 1980s when he was still living in Ayrshire. This was a setting of William Soutar’s love poem, The Tryst. Tryst is an old Scots word which means a meeting place, or a romantic rendezvous. The town of Cumnock itself ties into this sense of coming together as its Gaelic name, comunn achadh, means place of the confluence, as the town sits where the Glaisnock River and the Lugar Water meet. For four packed days and nights The Cumnock Tryst is a meeting place for music-lovers. Sir James MacMillan CBE is the pre-eminent Scottish composer of his generation. He first attracted attention with the acclaimed BBC Proms premiere of The Confession of Isobel Gowdie (1990). His percussion concerto Veni, Veni Emmanuel (1992) has received close to 500 performances worldwide by orchestras including London Symphony Orchestra, New York and Los Angeles Philharmonics and Cleveland Orchestra. Other major works include the cantata Seven Last Words from the Cross (1993), Quickening (1998) for soloists, children's choir, mixed choir and orchestra, the operas Inès de Castro (2001) and The Sacrifice (2005-06), and St John Passion (2007). Recent highlights include premieres of MacMillan’s St Luke Passion, A European Requiem, Stabat Mater for The Sixteen and a Trombone Concerto for Jörgen van Rijen with the Royal Concertgebouw Orchestra. The 2017 Cumnock Tryst Festival opens with a performance by Artists in Residence, Scottish Ensemble, together with one of the world’s leading percussionists, Colin Currie. A highlight of the programme will be the World Premiere of a new work co-commissioned by the Cumnock Tryst and Scottish Ensemble from Dave Maric, who will also take part in the performance. Making their debut at the Cumnock Tryst Festival this year are Centrestage Gospel and Soul Choir . The choir, which is part of Kilmarnock’s Centrestage, comprises individuals from all walks of life and embodies a true community spirit. The emotional highlight of The Cumnock Tryst Festival, the Cumnock Academy concert will this year bring together pupils from Hillside School, Greenmills Primary School and Auchinleck Academy with adults from the Riverside Centre. Working with Drake Music Scotland, musicians of Scottish Ensemble, Colin Currie and Sir James MacMillan the four groups will each create a movement of a new “symphony” called Kaleidoscope. An “in conversation” between James Knox, Director of the Boswell Book Festival, and Paul McAlindin, founder of the National Youth Orchestraof Iraq. A beacon of hope and achievement, the young musicians and their tutors made bridges across their own divisions and made great music in the most trying and tragic of circumstances. A dynamic and adventurous soloist, Colin Currie has an unrivalled commitment to commissioning and creating new music. In this solo recital he will bring some of the most astonishing modern percussion repertoire to Ayrshire. Marking the 300th birthday of the historic Dumfries Arms, virtuoso violinist, Ian Peaston, makes a welcome return to The Cumnock Tryst Festival. The Cumnock Tryst Festival’s contribution to the Dumfries Arms 300th birthday celebrations continues with this coffee and cake concert given by Gnoss - an award-winning four-piece trad band, whose members are currently studying at the Royal Conservatoire of Scotland. Artistic Director of ENO, Martyn Brabbins, returns to his musical roots as a brass band player to conduct a concert featuring the Dalmellington Brass Band and The Wallace Collection. The programme includes pieces written by Brabbins for brass band and the World Premiere of Jay Capperauld’s As Above, So Below commissioned by John Wallace. A highlight of the 2017 Festival will be a performance of Sir James MacMillan’s Seven Last Words from the Cross with Westminster Cathedral Choir and Scottish Ensemble, the string group for whom the work was originally written. Also featuring in the concert is the World Premiere of a new guitar concerto commissioned specially by the Festival from Auchinleck-based composer, Michael Murray, which will be performed by Sean Shibe. The trio of talented musicians who helped launch the 2016 Festival with such elan will once again showcase their quirky sound world created on trumpet, tuba and accordion. The 2017 Festival culminates in promenade concerts in the fabulous setting of Dumfries House. Three contrasting performances by Sean Shibe, The Wallace Collection Quintet and members of Scottish Ensemble will take the audience on both a physical and musical journey. The 2017 Festival culminates in promenade concerts in the fabulous setting of Dumfries House. Three contrasting performances by Sean Shibe, The Wallace Collection Quintet and members of Scottish Ensemble will take the audience on both a physical and musical journey. This final event also includes a post concert champagne reception. Sir James MacMillan CBE unveiled the programme for the 2016 Cumnock Tryst Festival in the Dumfries Arms Hotel, Cumnock this evening, 25 May 2016. The Cumnock Tryst Festival has been shortlisted for a prestigious Royal Philharmonic Society Music Award it was announced today, 31 March 2016. The Festival is one of only three organisations to be shortlisted in the Concert Series and Festivals category. 65 independent jurors considered over 350 nominations to decide the shortlists. The chosen shortlisted nominations paint a picture of the breadth and energy of imaginative classical music making across the UK today. 13 categories of award honour performers and composers as well as inspirational programmers, communicators, education and outreach work. The winners of the 2016 RPS Awards will be announced on Tuesday 10 May. The programme for the 2016 Cumnock Festival will be unveiled on 25 May. The Cumnock Tryst Festival was established by composer Sir James MacMillan in 2014. The Festival’s name, The Cumnock Tryst, was inspired by a piece of music he wrote in the 1980s when he was still living in Ayrshire. This was a setting of William Soutar’s love poem, The Tryst. Tryst is an old Scots word which means a meeting place, or a romantic rendezvous. The town of Cumnock itself ties into this sense of coming together as its Gaelic name, comunn achadh, means place of the confluence, as the town sits where the Glaisnock River and the Lugar Water meet. For four packed days and nights The Cumnock Tryst is a meeting place for music-lovers. Extra performance announced for Festival Finale at Dumfries House as general booking for 2015 Festival opens. There will be an extra performance of the Cumnock Tryst Festival Finale at Dumfries House on Sunday 4 October it was announced today, Wednesday 1 July 2015. The news came as general booking for the 2015 festival opened. “We are delighted to announce an additional Festival Finale concert,” says Artistic Director, Sir James MacMillan. “Such has been the popularity of the Festival Finale that the 5.30pm performance is now sold out. The recitals that form the Festival Finale will see Harpist Gabriella Dall’Olio perform the World Premiere of a new work by James MacMillan alongside pieces by Donatoni and Fauré in the Tapestry Room; Horn-player, Alec Frank-Gemmill perform works by Aho and MacMillan in the entrance hall; and a trio from the Hebrides Ensemble play works by the contemporary Hungarian composer Kurtág and by Bach (arr. Mozart) in the Great Steward’s Dining Room. Tickets for the 2.30pm performance priced £25 / £15 (for under 26s and local residents) are on sale from today. Tickets priced £50 / £40 (for under 26s and local residents) are still available for the 7.30pm performance with post concert reception. The 5.30pm performance is now sold out (returns only). General Booking for the 2015 Cumnock Tryst opens today. Highlights include a performance by the world famous King’s Singers, an opening concert by the Whitburn Band in the newly refurbished Cumnock Town Hall and the inaugural concert by the Cumnock Festival Chorus with talented young singers of Genesis Sixteen and members of the Hebrides Ensemble and NYOS Camerata under the baton of Eamonn Dougan. Sir James MacMillan, who received a knighthood for services to music in the 2015 Queen’s Birthday Honours, unveiled the programme for the 2015 Cumnock Tryst at a special event in the East Ayrshire town this evening, 16 June 2015. Established by the internationally acclaimed composer in his home town, The Cumnock Tryst is a celebration of music making at its very best. The 2015 Festival will see a rich and varied programme staged in venues across the town and in Dumfries House over the weekend of 1-4 October. “I am totally delighted to receive this honour. I am especially pleased that the world of music, and contemporary composition in particular, will receive greater focus and recognition as a result. I feel encouraged and re-energised in my commitments in these fields and especially in my work with The Cumnock Tryst." Children and young people continue to be a key focus of the Cumnock Tryst. This year two winners of the BBC Young Musician of the year - pianist Martin James Bartlett and cellist Laura van der Heijden will give recitals. Meanwhile, Jay Capperauld, from New Cumnock - one of the best of recent graduate composers from the Royal Conservatoire of Scotland - returns with a brand new commission. Over the summer MacMillan will also work with school groups on a number of composing workshops and, it was announced, the Festival has formed a partnership with Drake Music Scotland. The 2015 Festival opens on Thursday 1 October with a concert by the Whitburn Band in the newly refurbished Cumnock Town Hall, which includes a performance of MacMillan’s Canite Tuba conducted by the composer. Friday’s events begin with a special concert at Cumnock Academy which will be the result of a week of intense composition and song writing lessons, and workshops for Higher and Advanced Higher music students from East Ayrshire schools with James MacMillan, songwriters Jo Mango and David Scott, and musicians from the Hebrides Ensemble. It will also feature performances resulting from a collaboration between The Cumnock Tryst and Drake Music Scotland, and children from Hillside School and Barshare Primary School. Later in the afternoon director of Drake Music Scotland, Thursa Sanderson, Jo Mango and broadcaster Muriel Gray join with MacMillan for The Cumnock Hour in the Dumfries Arms. The evening concert brings one of the world’s most acclaimed a capella groups, The King’s Singers, to Cumnock. The group will perform a broad programme ranging from Medieval and Baroque to contemporary works including MacMillan’s A Rumoured Seed and Steve Martland’s Oranges and Lemons. Saturday’s programme begins with recitals in St John’s Church by the two most recent winners of the BBC Young Musician of the Year competition. The first performance will see pianist Martin James Bartlett play music by Scarlatti, Beethoven, Chopin and Prokofiev. This is followed by cellist Laura van der Heijden whose programme includes works by Schnittke, Rachmaninov and MacMillan, and the World Premiere of a new festival commission from Jay Capperauld. The evening sees the inaugural concert by the Cumnock Festival Chorus in Cumnock Old Church. Conducted by Eamonn Dougan, the Festival Chorus will be joined by members of Genesis Sixteen, the Hebrides Ensemble and NYOS Camerata. Together they will perform Bach’s Partita in D minor with chorales, the World Premiere of new work by James MacMillan and the glorious Fauré Requiem. The day’s events conclude with a late night performance by the Whistlebinkies with local poet Rab Wilson at the Dumfries Arms. The Sunday Festival Service will take place in Trinity Church this year with music by the University of Strathclyde Chamber Choir, and conductor / organist Alan Tavener. The Festival Finale will then take place in the glorious setting of Dumfries House. There will be two performances of a trio of recitals. Harpist Gabriella Dall’Olio performs the World Premiere of a new work by James MacMillan alongside pieces by Donatoni and Fauré in the Tapestry Room; Horn-player, Alec Frank-Gemmill performs works by Aho and MacMillan in the entrance hall; and a trio from the Hebrides Ensemble play works by the contemporary Hungarian composer Kurtág and by Bach (arr. Mozart) in the Great Steward’s Dining Room. The popular Festival Club at the Dumfries Arms returns with performances this year by pianist Fergus McCreadie - twice winner of the Young Scottish Jazz Musician Award for under 17s and finalist in this year’s Young Scottish Jazz Musician of the year, together with David Bowden (bass) and Stephen Henderson (drums) on the Thursday night, and the celebrated Damellington Band on the Friday night. (Transactions are subject to Box Office booking fees). One of Britain’s most successful living composers, Sir James MacMillan is renowned for his powerful scores which are rich with dramatic gestures, moments of lyrical beauty and spirituality. His music is performed by the world’s leading orchestras including the London Symphony Orchestra, New York Philharmonic and many others. He was awarded a CBE in January 2004 and a knighthood in June 2015. In addition to The Confession of Isobel Gowdie, which launched MacMillan's international career at the BBC Proms in 1990, his orchestral output includes his first percussion concerto Veni, Veni, Emmanuel, premiered by Evelyn Glennie in 1992 and which has since received close to 500 performances worldwide. Works by MacMillan also include Seven Last Words from the Cross for chorus and string orchestra, a triptych of orchestral works commissioned by the London Symphony Orchestra: The World's Ransoming, a Cello Concerto for Mstislav Rostropovich, and Symphony: 'Vigil' premiered under the baton of Rostropovich in 1997, and Quickening for The Hilliard Ensemble, chorus and orchestra, co-commissioned by the BBC Proms and the Philadelphia Orchestra. His Symphony No 4 will be premiered at the BBC Proms in August 2005, by Donald Runnicles and the BBC Scottish Symphony Orchestra. His St John Passion, co-commissioned by the LSO, Royal Concertgebouw Orchestra, Boston Symphony Orchestra and Berlin Radio Choir, was premiered under the baton of Sir Colin Davis in 2008. The past five years have brought a successful sequence of concertos: for violinist Vadim Repin, pianist Jean-Yves Thibaudet (his third piano concerto), oboist Nicholas Daniel, violist Lawrence Power and percussionist Colin Currie (his second percussion concerto). Orchestral scores have included Woman of the Apocalypse premiered by Marin Alsop at the Cabrillo Festival and performed by the São Paulo Symphony in 2014. Works with choir include a new setting of the St Luke Passion for chorus and chamber orchestra. His one-act chamber opera Clemency has been performed in London, Edinburgh and Boston. 2014 saw MacMillan launching a new music festival in his home town of Cumnock. Internationally active as a conductor, MacMillan has earned praise for his clear and focused presence and the composer’s insight he brings each score. James MacMillan was Composer-Conductor of the BBC Philharmonic from 2000- 2013. He was Principal Guest Conductor of the Netherlands Radio Chamber Philharmonic from 2010 – 2014. In Spring 2014 Macmillan conducted three projects with the BBC Scottish Symphony Orchestra including the orchestra’s first tour to India. Highlights of the current season include a new production of his 1990 opera Ines de Castro with Scottish Opera, Composer in Residence with the Sao Paulo Symphony where he conducted a choral programme, return conducting engagements with the Royal Liverpool Philharmonic, City of Birmingham Symphony Orchestra, Britten Sinfonia and debuts with Bergen Philharmonic among others. In recent seasons he has conducted orchestras such as the London Symphony Orchestra, NHK Symphony Orchestra, Danish National Symphony, Baltimore Symphony and New Zealand Symphony. 18 time winners of the Scottish Championships, the celebrated Whitburn Band opens the 2015 Cumnock Tryst with a programme that includes James MacMillan’s Canite Tuba conducted by the composer. Jazz night with the talented young musicians of The Fergus McCreadie Trio. Performance of pieces written as part of this summer’s song writing and composition courses, and a Drake Music Scotland / Hebrides Ensemble collaborative workshops in local primary schools. James MacMillan is joined by director of Drake Music Scotland, Thursa Sanderson, and Folk musician, Jo Mango. Event chaired by broadcaster and author, Muriel Gray. One of the world’s most celebrated a capella groups performs works ranging from the Medieval and Baroque to contemporary pieces by MacMillan and Martland. Round off the day with the musicians of the Dalmellington Band in relaxed mode. Winner of the 2014 Young Musician of the Year competition, pianist Martin James Bartlett, plays a programme of works by Scarlatti, Beethoven, Prokofiev and Chopin. Winner of the 2012 Young Musician of the Year competition Laura van der Heijden, plays works for cello including James MacMillan’s Kiss on Wood and the World Premiere of a new commission from Jay Capperauld. The Cumnock Tryst Festival Chorus gives its inaugural performance in a concert that includes the World Premiere of a new work by James MacMillan and the glorious Fauré Requiem with soloists from the talented young singers of Harry Christophers’ Genesis Sixteen. Scottish traditional music band, The Whistlebinkies, are joined in a late night concert by Scots poet and playwright Rab Wilson. Audience invited to bring and read their own short poems. Two performances of a trio of recitals in the glorious setting of Dumfries House. Music ranges from Bach and Faure to Kurtág, Maxwell Davies and MacMillan. Tickets: £25 / £15 for under 26s and local residents. For the 7.30pm performance, followed by post-concert reception, £50 / £40 for under 26s and local residents.